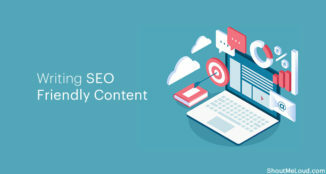 Google search console is one of the best and free SEO optimization tools that you can use for your blog. If you ever wanted to make your blog search engine friendly, free search console is the best way to start. but when you get traffic from referral sites like Feedburner, Facebook, Twitter you will notice your Permalink have some extra lines. Ex: domain.com/permalink?utm_source=facebook and so on. This is helped in analytics and keep an eye on from where your site is getting traffic. For an E-commerce site, they offer various sorting options like Sort=relevancy, sort=ascending, pagination and so on, which is also considered as URL Parameters. Usually, it all depends on your site configuration and architecture that what links will be displayed. This is good for usability and user experience, but from a search engine point of view, such content doesn’t add value and there is no need for such links to be indexed. 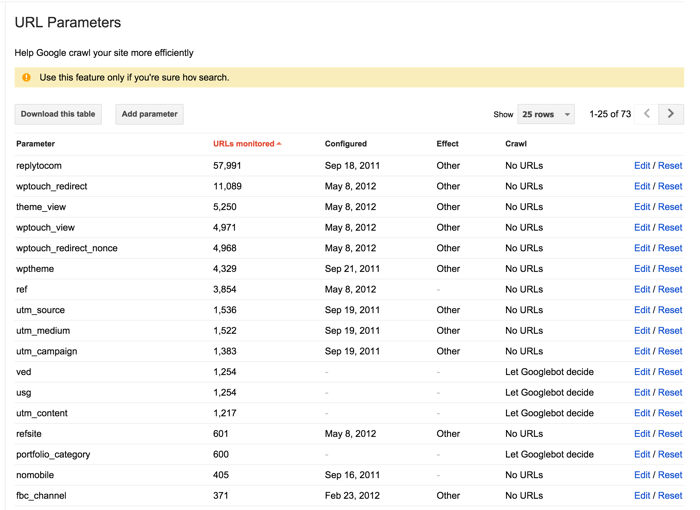 In fact, your clean permalink should be the only link that should be indexed in search. 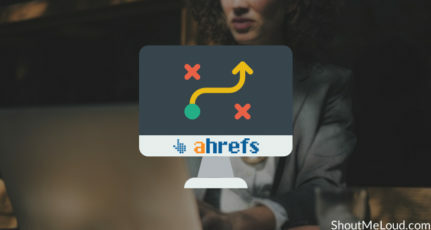 There is .htaccess code that automatically redirects such links to single Permalink but at times Google indexed such links along with URL parameters, which not only calls for low-quality content but also created a duplicate content issue. 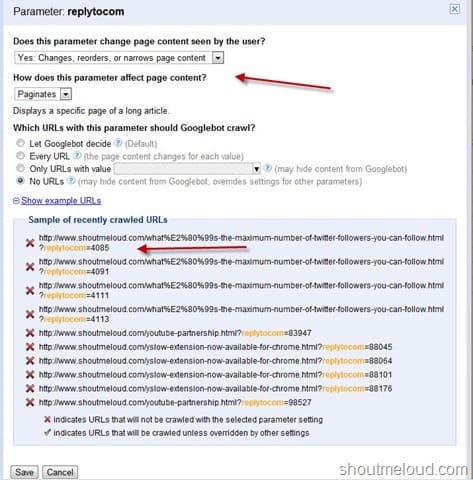 Parameter handling is a useful option under Google webmaster tool to help indexing and deindexing pages which are added due to parameters like nombile, utm_source, replytocom, preview and so on. Some of them also created the duplicate content issue, for example, replytocom issue in WordPress. In one of the methods of fixing the replytocom issue, I mentioned about parameter handling. Recently Google has updated the parameter handling feature in Search console tool and added more setting option and given more control to users. Earlier parameter handling used to be an option under settings but now you can access it under Crawl > URL Parameters. A sample of a recently crawled article will help you to understand which links this parameter is letting index, and you can change settings and see which link will not be indexed after making changes. This is very useful for e-commerce websites to noindex different parameter to ensure safeguard from the duplication issue. 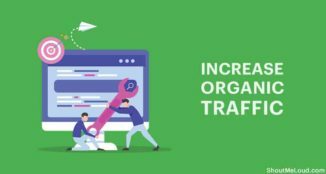 Along with it, letting so many Parameters link indexed and crawlable by Google will lower the crawl rate of your site, and it will also cost more bandwidth from your hosting. My recommendation would be, go ahead and check what Parameters Google have found from your site under Configuration > URL parameters and configure them to noindex that doesn’t add any value in search. Also, keep checking this setting page once in every month whenever you are doing an SEO audit of your site and if Google found some new parameter links, configure them to noindex as shown in above image. I believe this updated URL parameter handling tool will help webmasters to take care of some serious issues like replytocom easily. 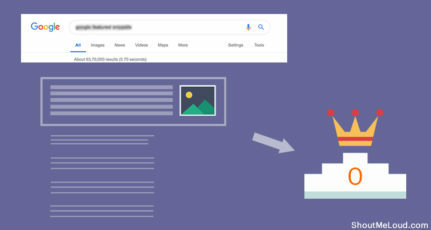 Here is a detailed video from the Google team to understand what is URL parameters and how it works and affect your crawling and indexing of your site. 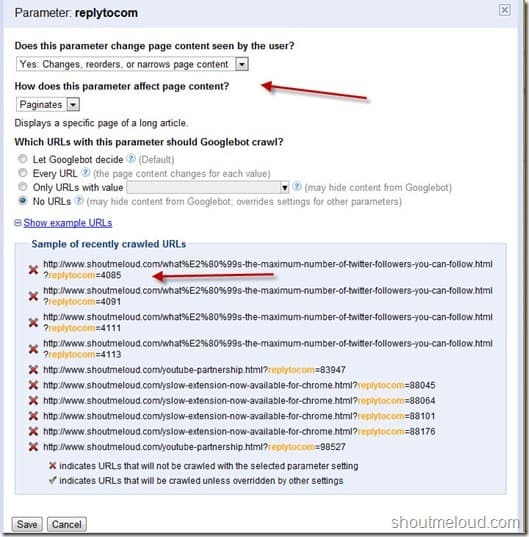 Do check this new updated URL parameter option under Google webmaster tool which you can access from Site configuration > URL parameters. Do share your view and let us know if you made any changes after checking this URL parameter tool? When i am with URL Parameters then here showing some parameters like utm_source , utm_medium , si_form_id etc. Which option is right to choose for them particular option to manage it correctly because its too tough to make any changes without complete knowledge about it. Please help me. Hi Harsh, I happen to be a blogger, I had to Add parameter “m” for the mobile version of my blog, but i am curious why I can’t see google taking notice of it. There are thousands of duplicate title tags ( which are actually just the mobile and desktop versions) I am afraid google might penalize me. What would you suggest? I’ve tried the canonical tags in fact the canonical tags are part of the blogger templates. 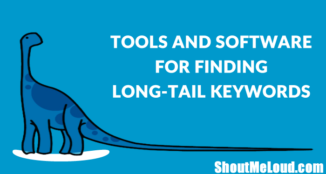 Thanks for sharing great article I have faced same issue for URL parameter in webmaster tool after reading your post and view your youtube video for the setting of parameter provide a lot of help.